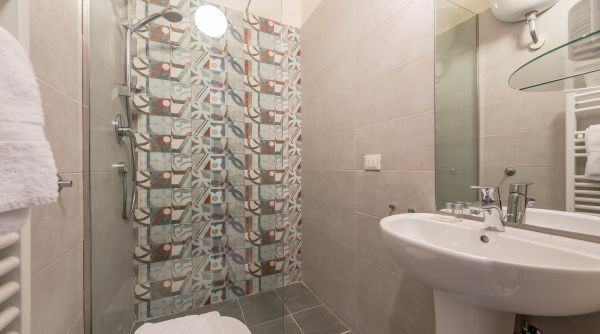 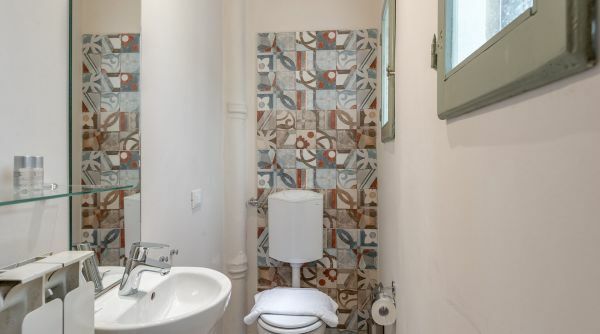 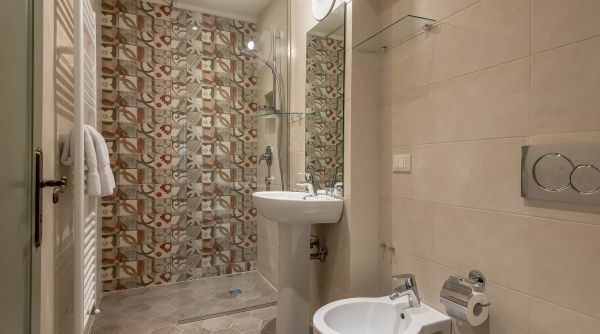 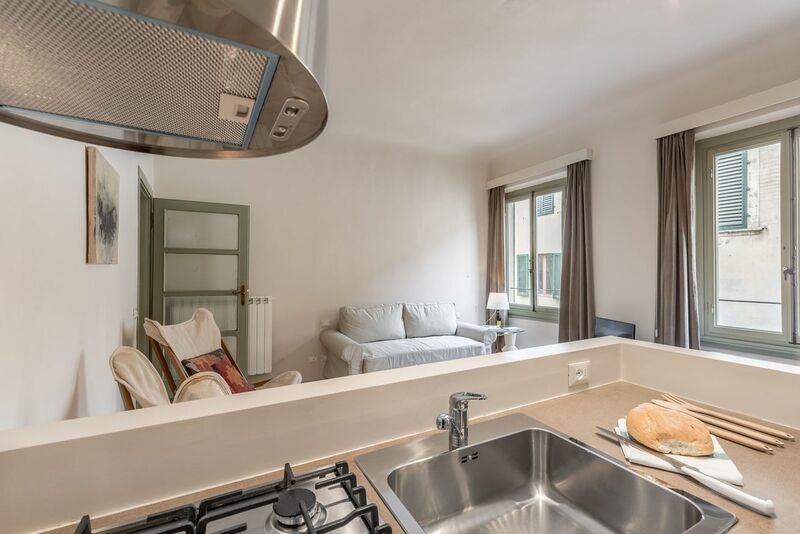 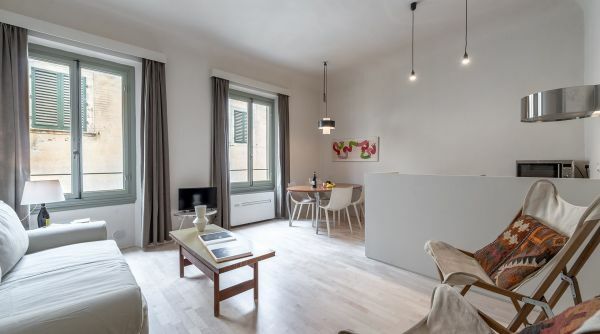 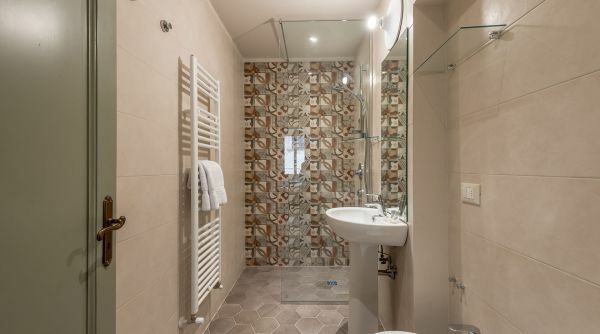 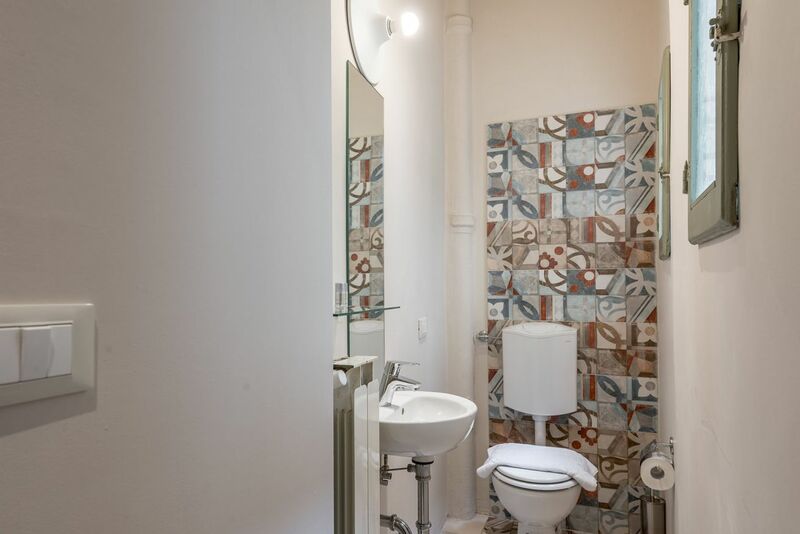 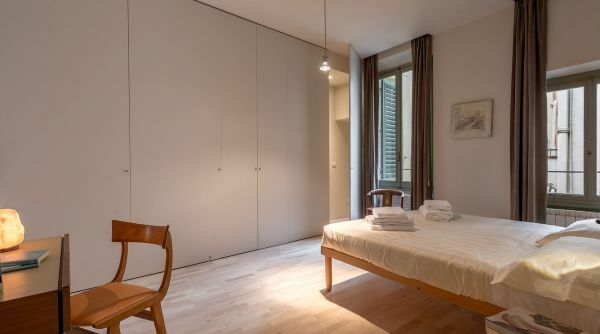 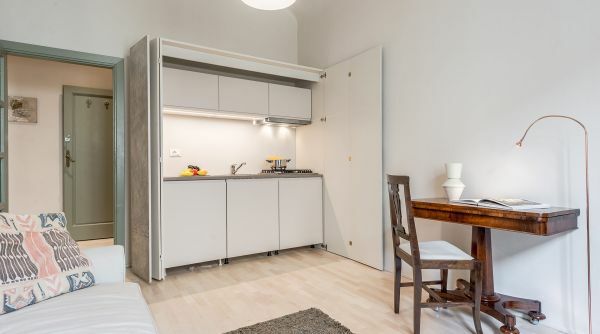 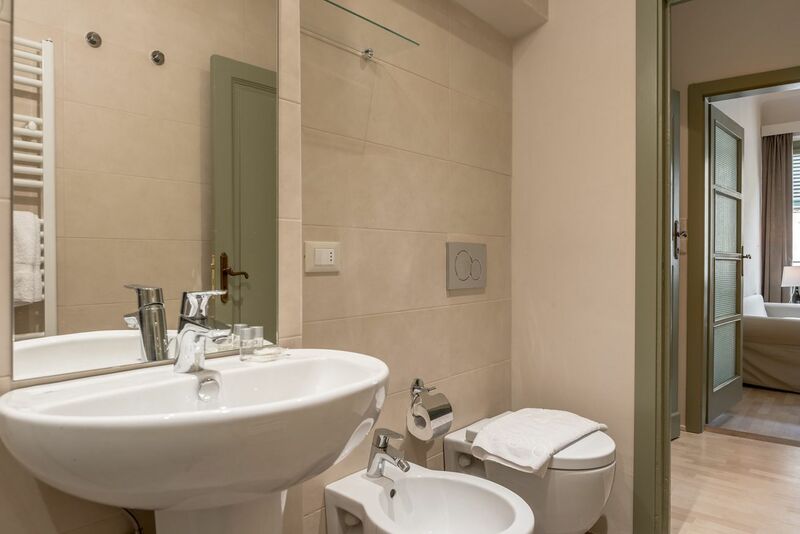 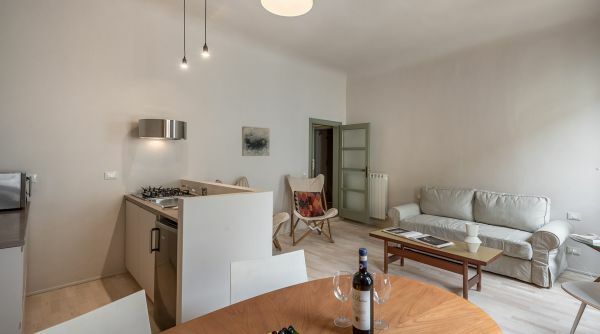 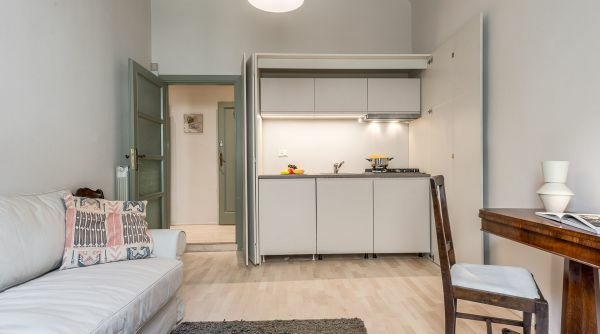 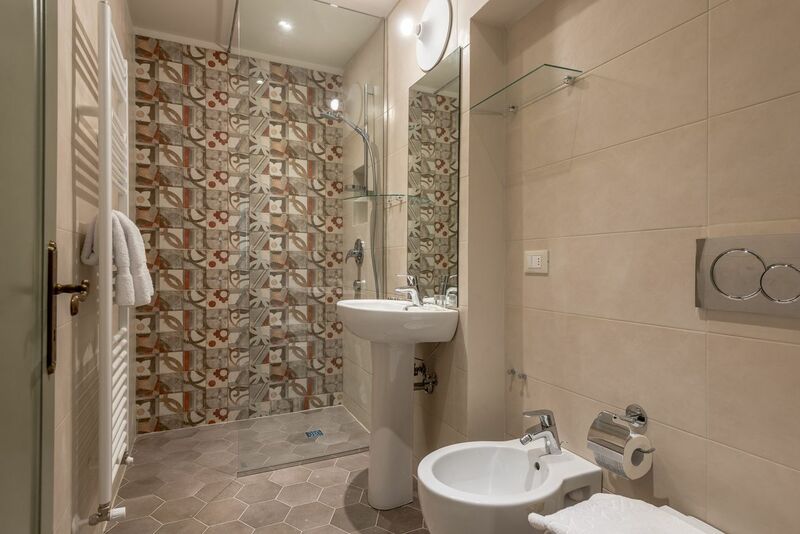 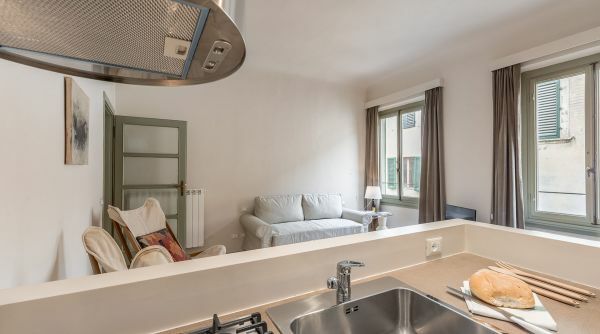 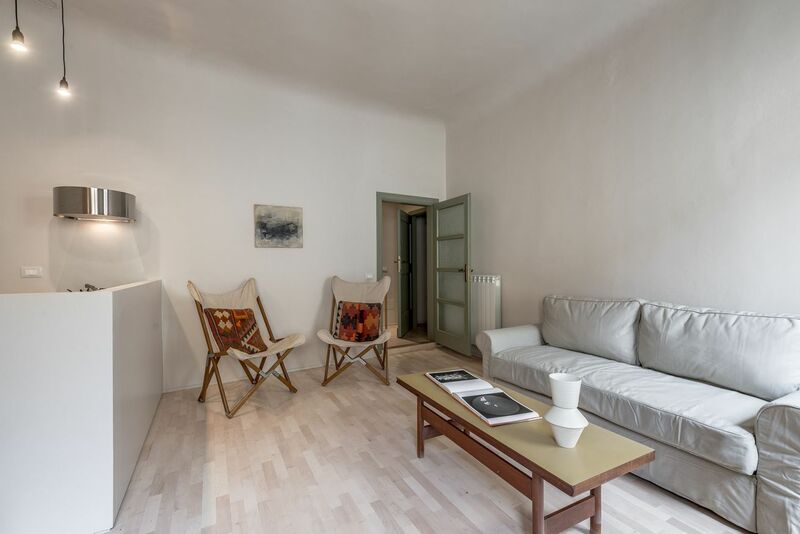 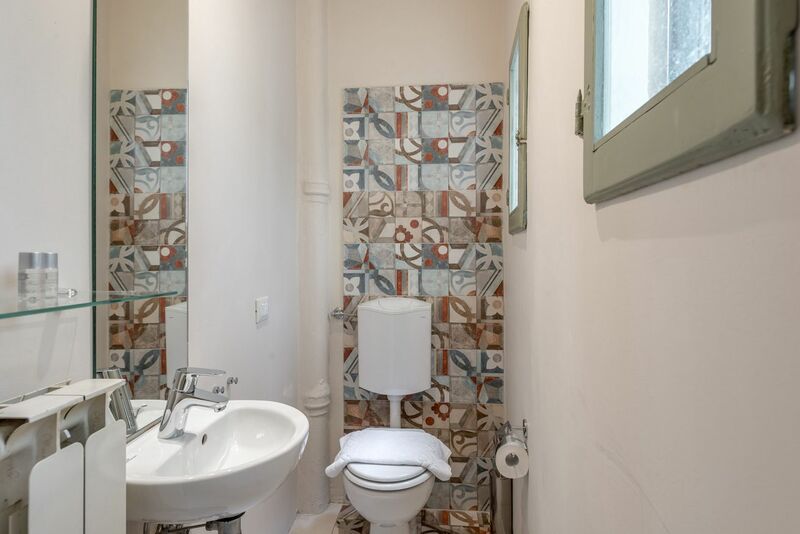 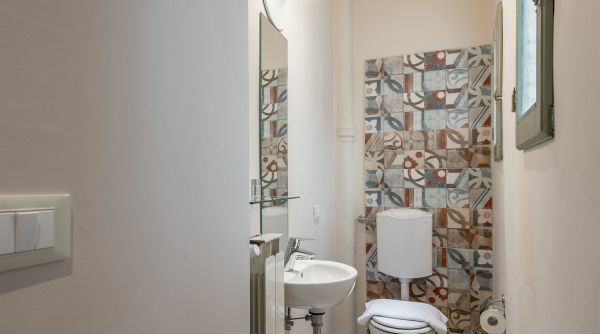 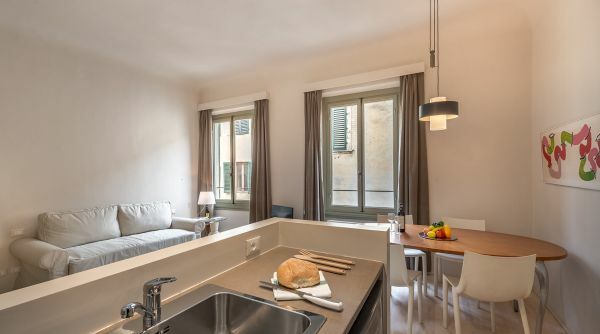 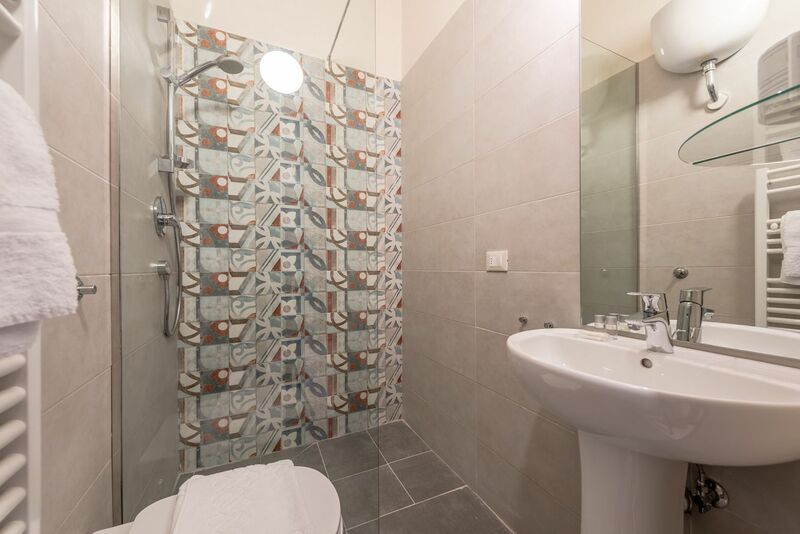 Modern apartment in Borgo Allegri in the neighborhood of Santa Croce in Florence, ideal for vation rentals due to its excellent position in the full centre of the historical downtown just steps to the most important monuments and museums. 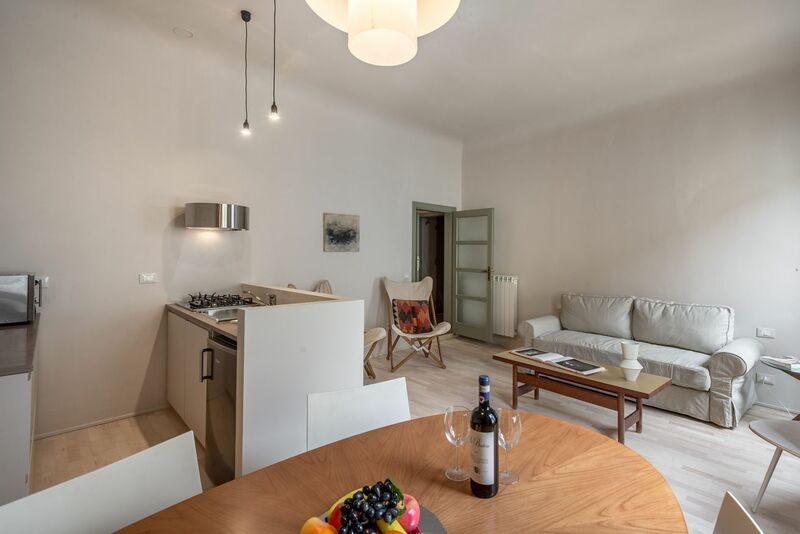 Santa Croce Design can comfortably accommodate up to 8 people thanks to its 3 double bedrooms furnished with two double bed, two single beds and a double sofa bed. 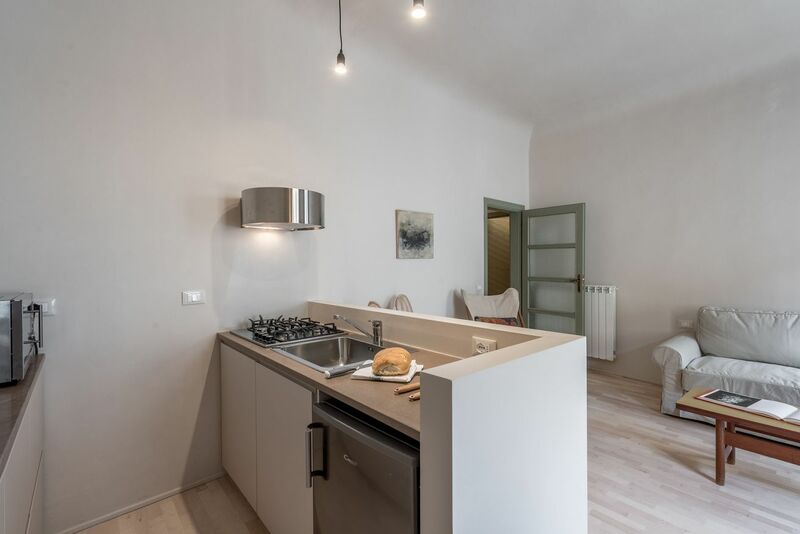 The house has also 3 bathroom (two of which with shower); a spacious living room with kitchen, dining table and sofa completes the property. 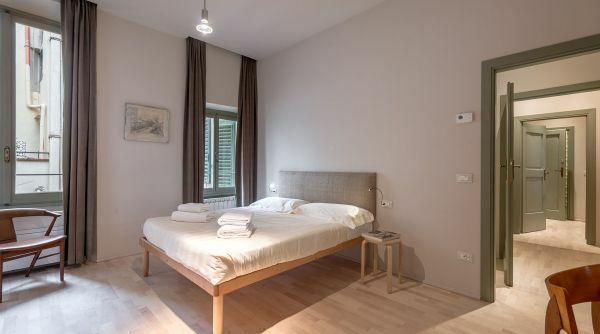 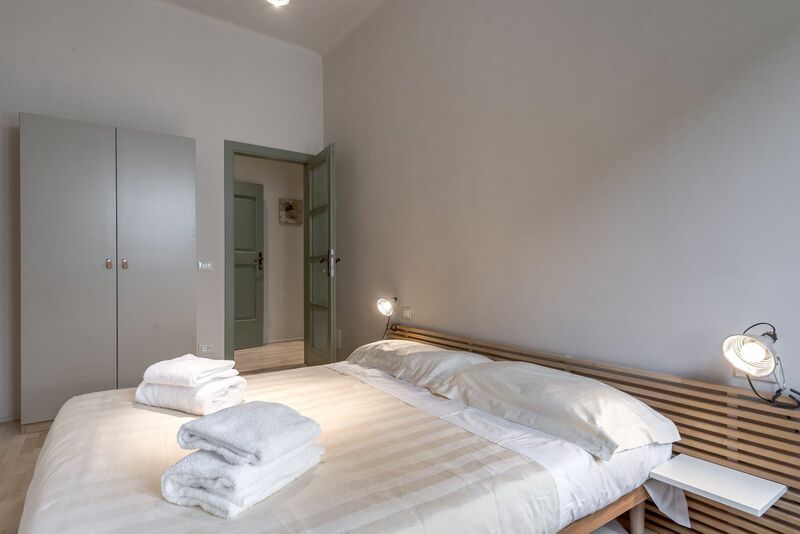 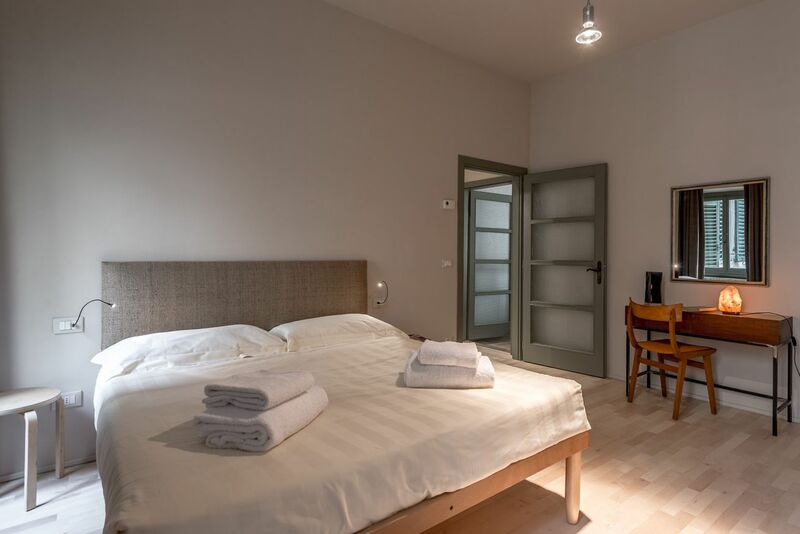 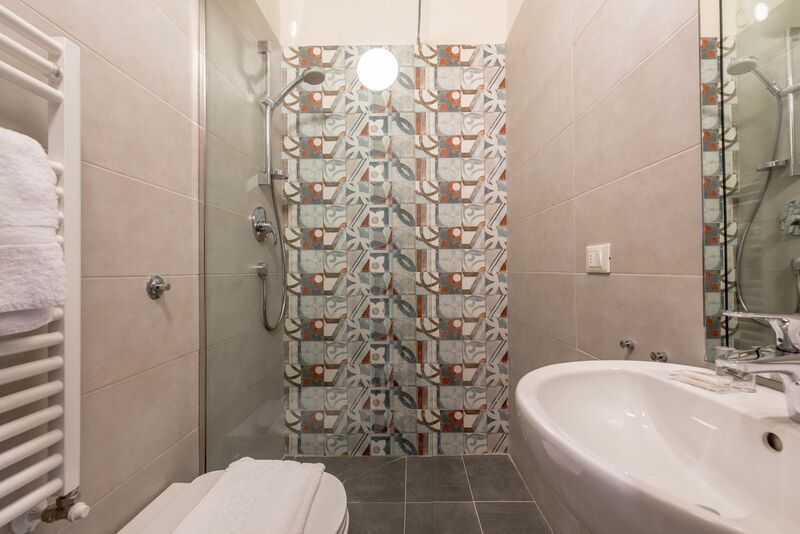 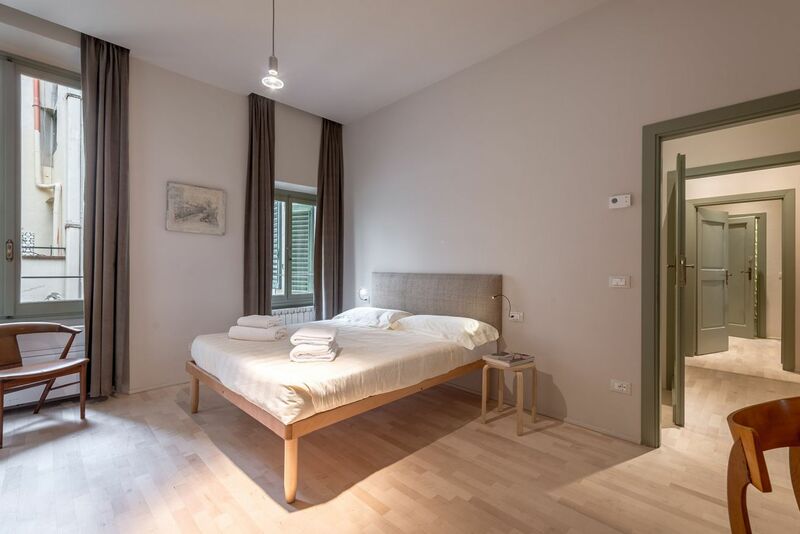 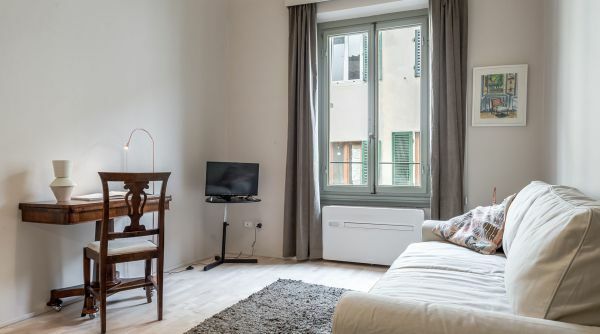 The apartment was recently renovate and furnished in a modern way; here you will find many comforts as the air conditioning, internet Wi-Fi, independent heating and much more. 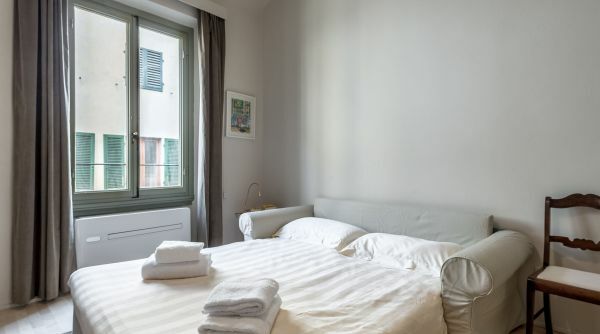 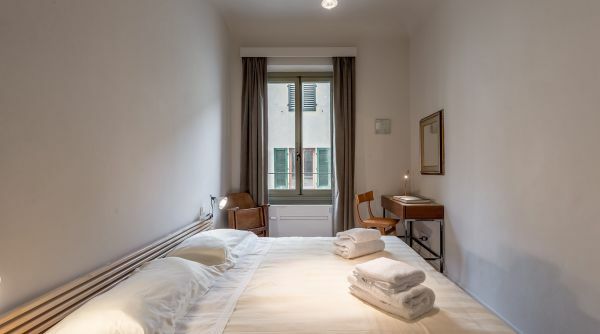 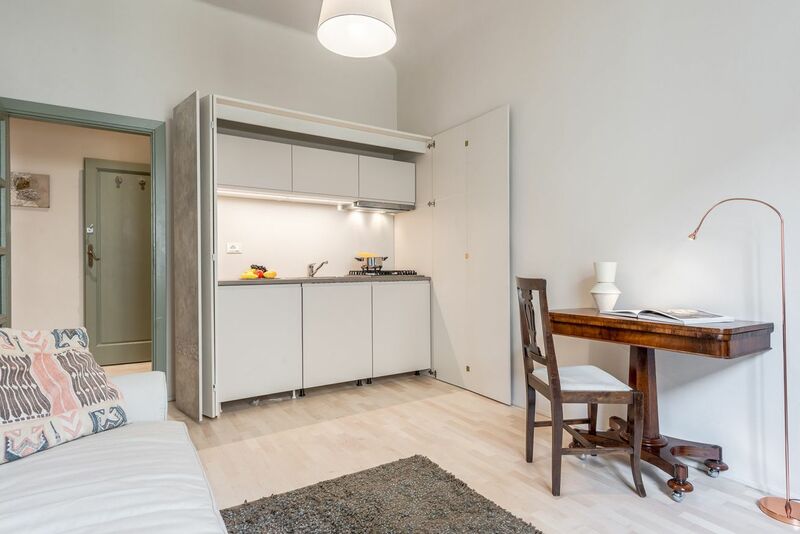 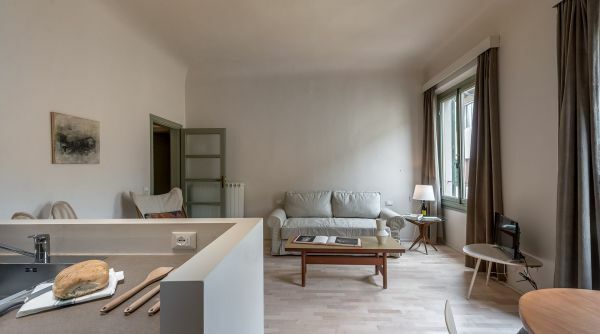 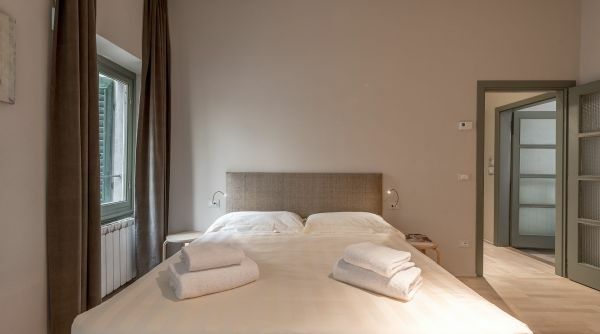 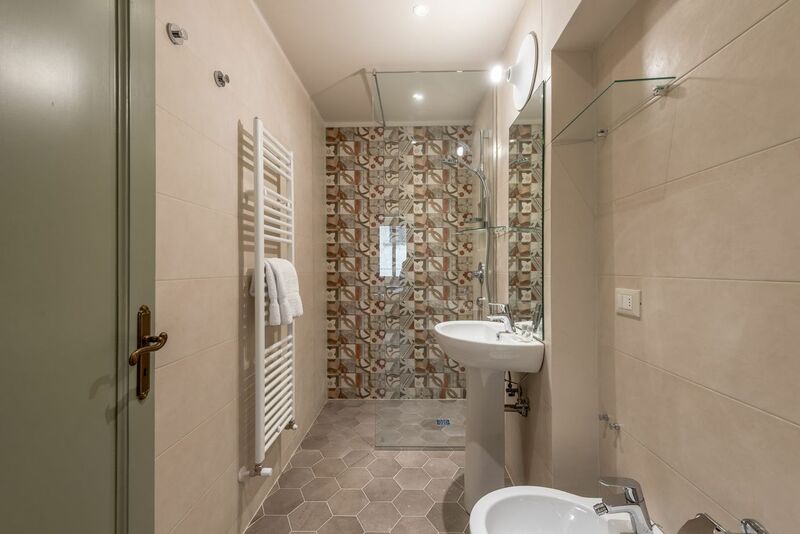 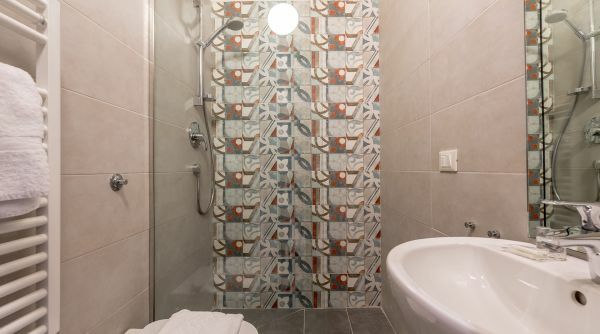 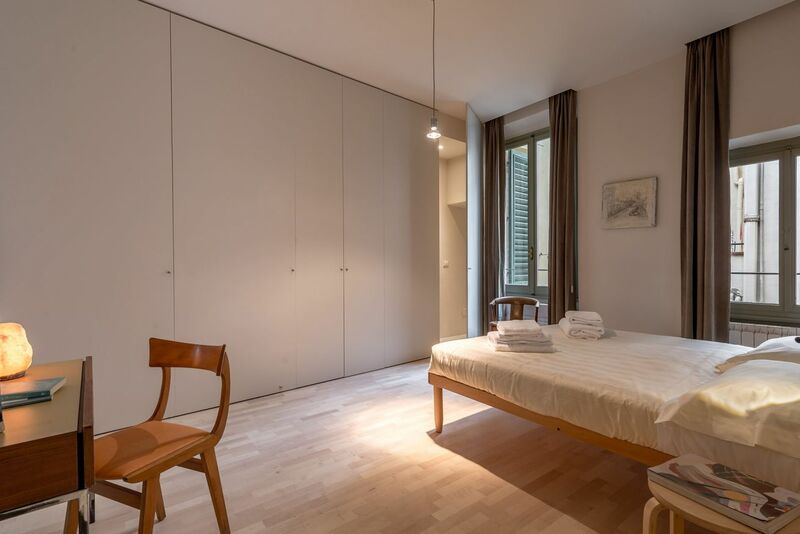 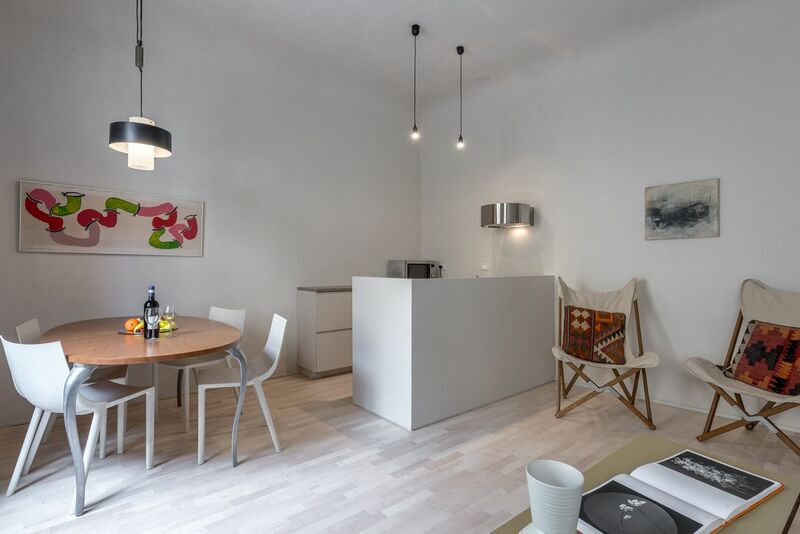 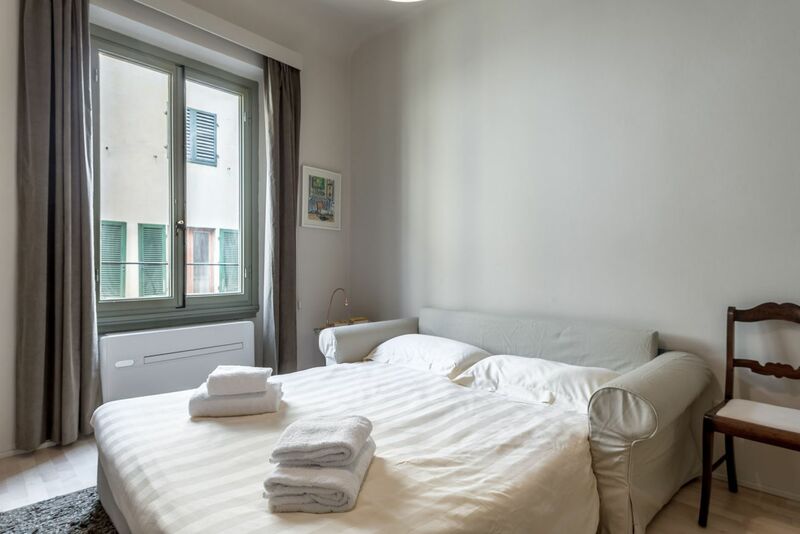 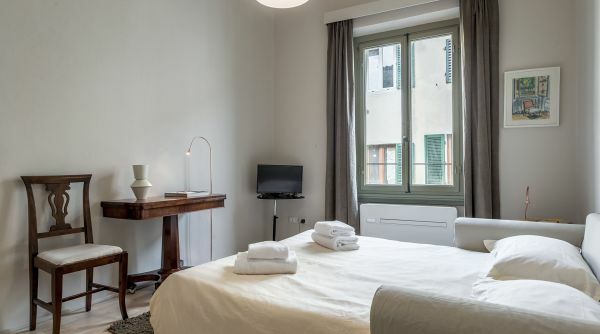 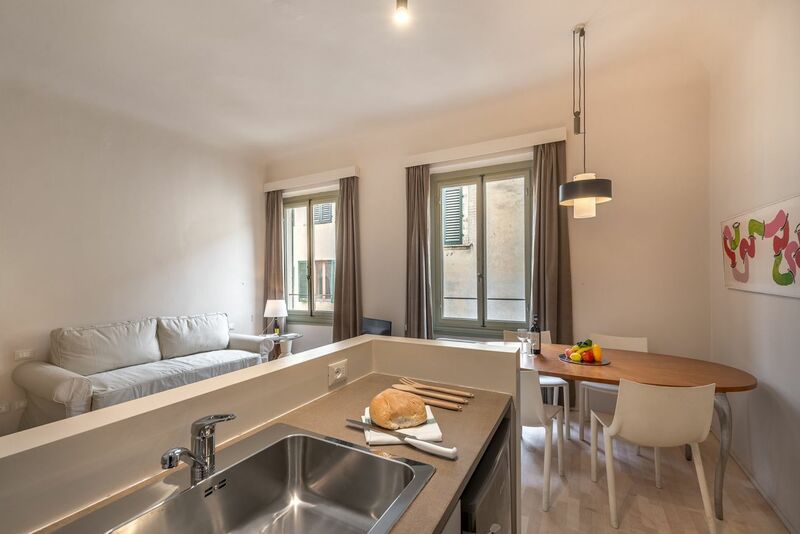 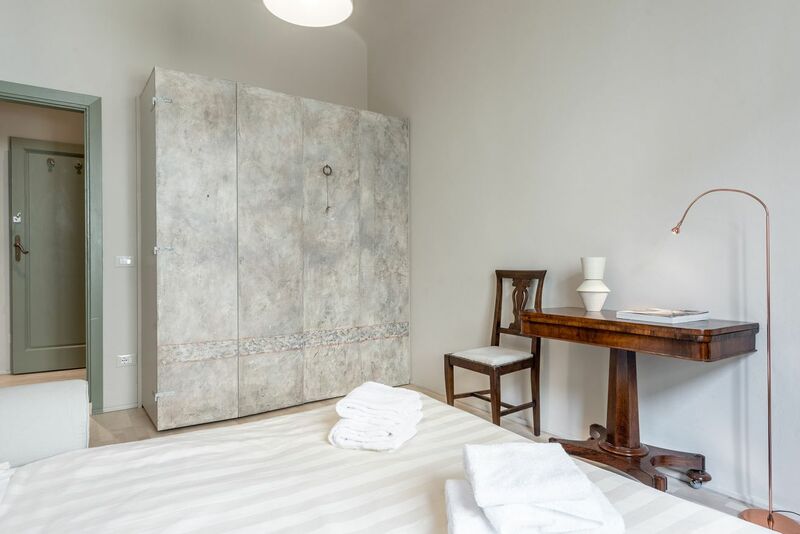 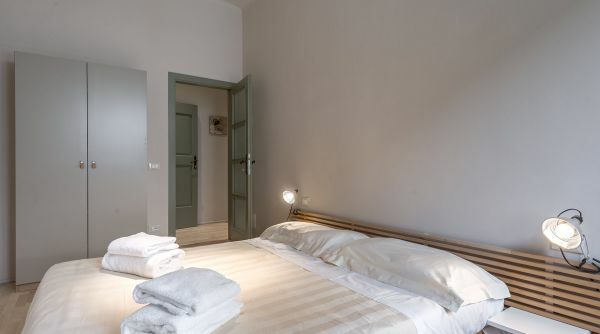 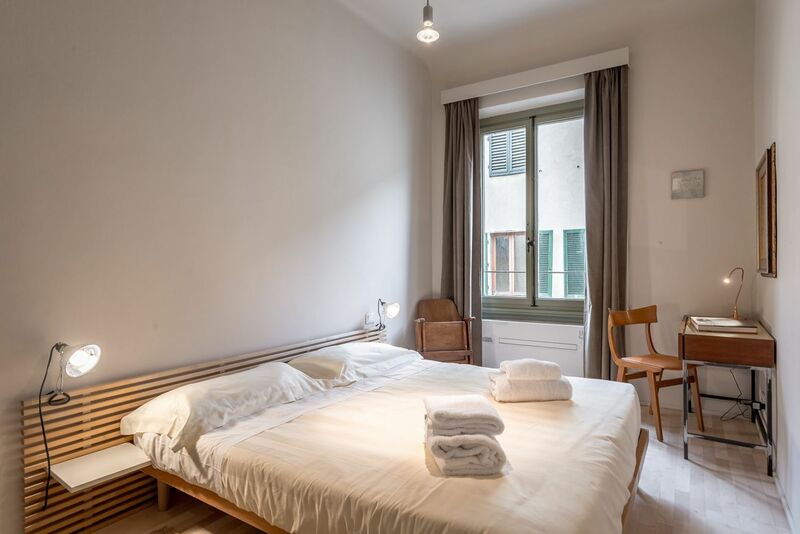 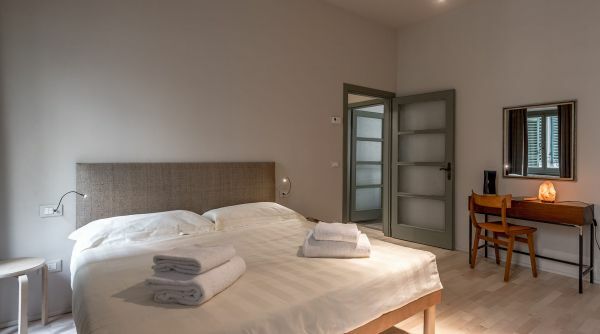 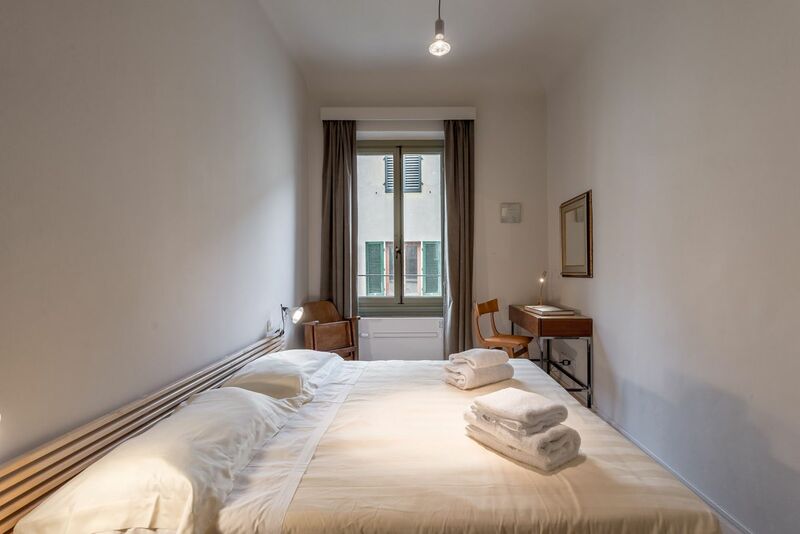 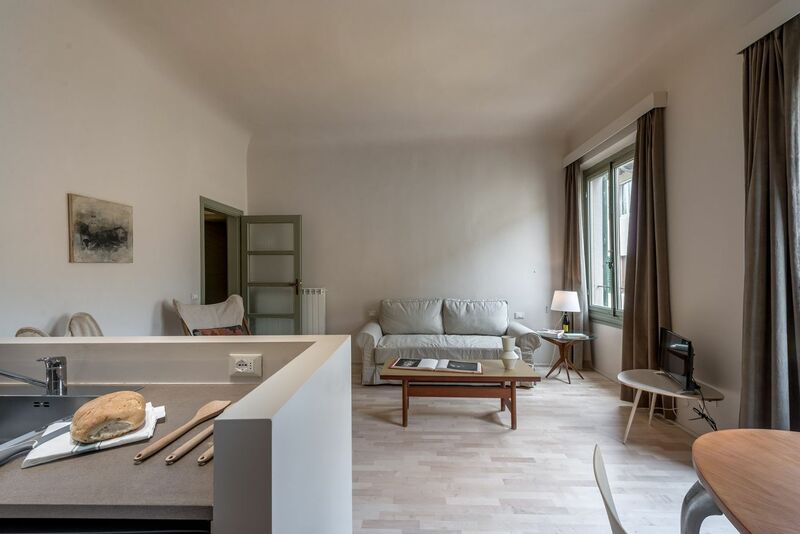 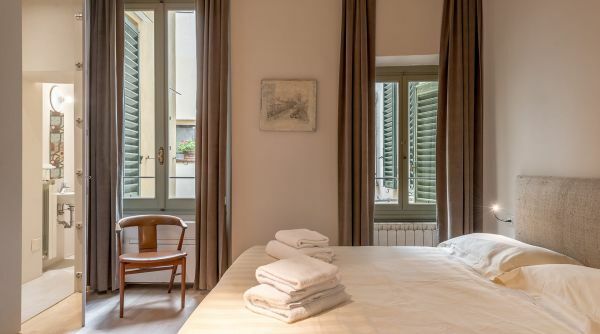 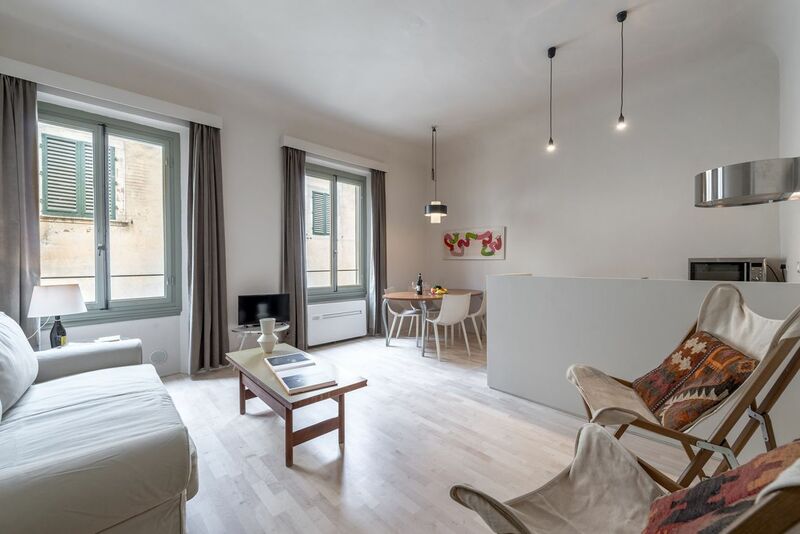 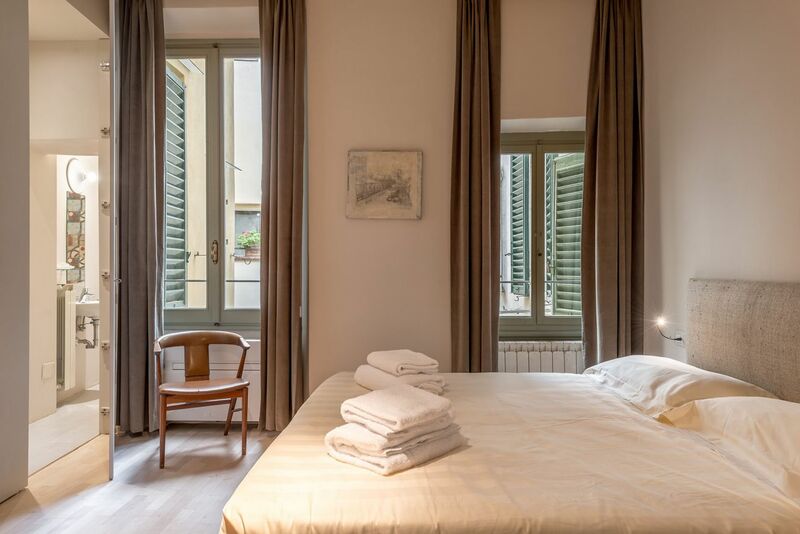 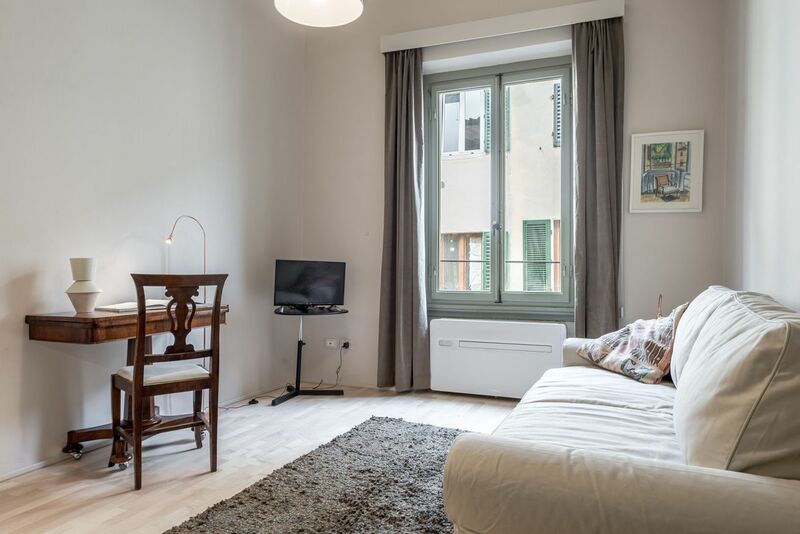 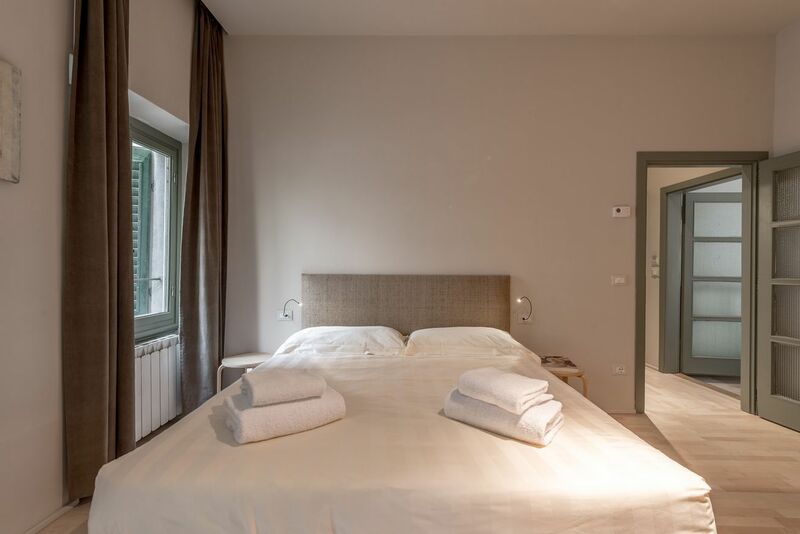 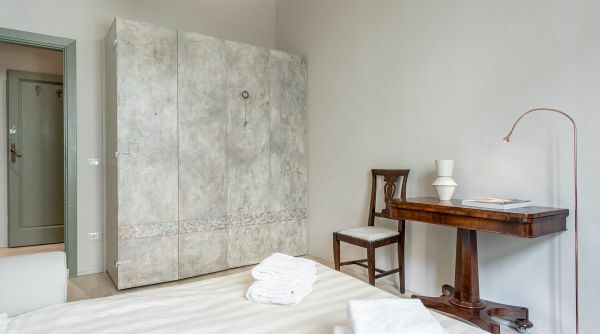 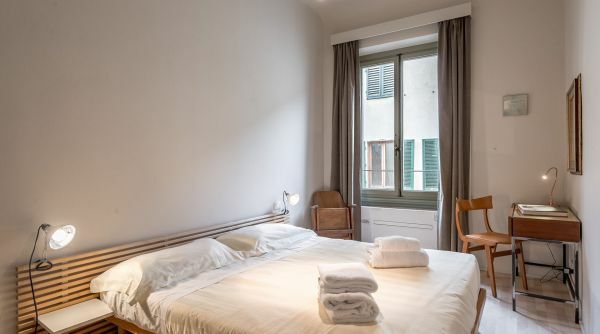 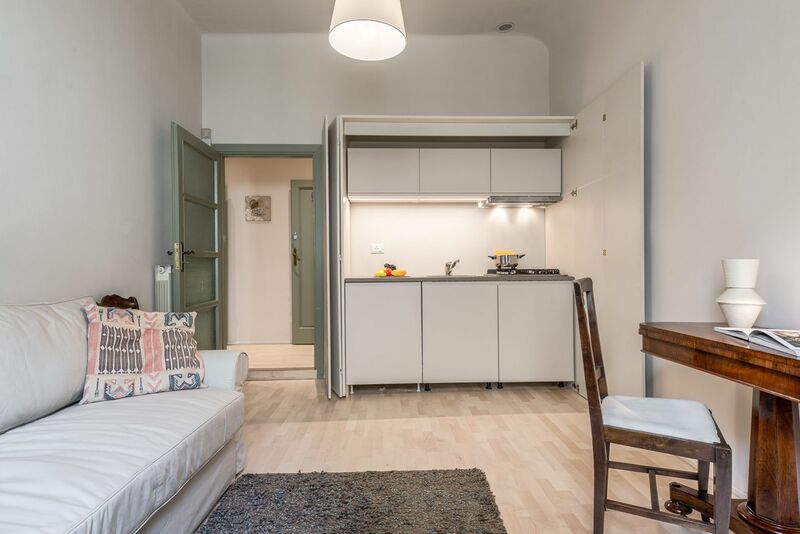 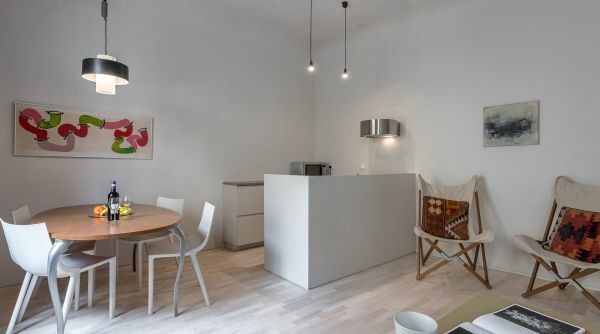 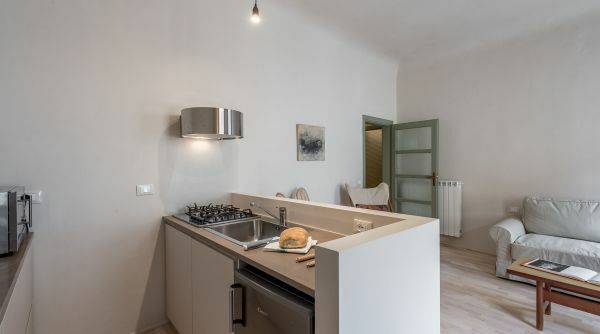 The apartment Santa Croce Design is on the very central Borgo Allegri in Florence in the heart of the district of Santa Croce, one of the most beautiful and lively of the historical city center. 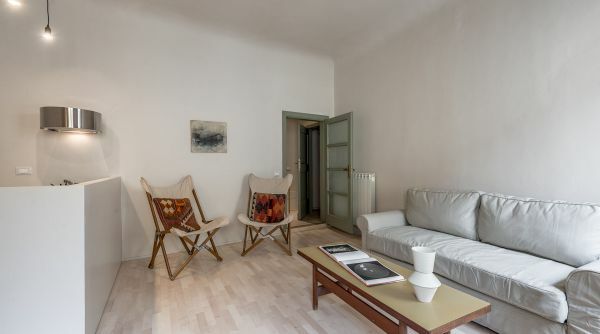 The house is in a perfect position to visit the city because it is very close to all main points of interest. 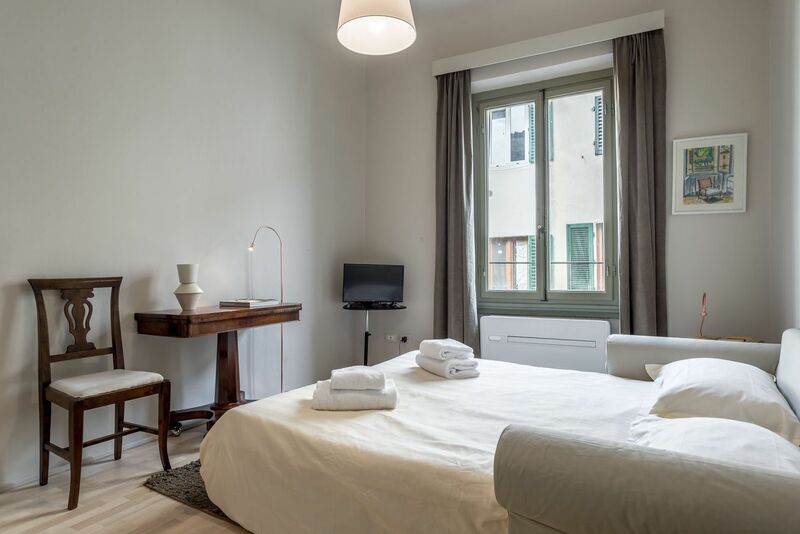 In addition, all around you will find many shops and trendy bars where you can spend your nights in florence with your friends!